It’s a digital world. We research, shop, play, socialize, plan, compare, network, learn, and do online. And increasingly, that includes work, too. The advent of email revolutionized the way we communicate with colleagues, customers, and each other. The arrival of cloud storage providers like Dropbox changed the way we store and access documents, while applications like Microsoft Word transformed the way we make those files in the first place. Are you and your business harnessing all that available power? The old way of pen and paper, physical copies stored in massive file cabinets, and fax or – gasp! – snail mail is being replaced by something better, faster, more efficient, and more secure. You have questions and concerns. You’re probably drawing from several different vendors and providers and/or relying on antiquated systems like old servers or cardboard storage boxes for storage. Large-scale enterprises made the switch a while ago, and have massive budgets, dedicated IT personnel, and the required know-how and infrastructure to bring it all together. But small and medium-sized businesses (SMBs) aren’t typically so lucky. As an established SMB or a new startup, you might recognize the need, but aren’t sure about the logistics. How do I migrate to the cloud? Do I need a business email, and where do I get one? What are the basic digital necessities for 2018 and beyond? Is it really that necessary? Say hello to Microsoft 365 Business. No matter where you are in your brand journey – startup, established, struggling, small, thriving, medium, or otherwise – you can move to the cloud in one hour and get everything you need to be better: less expensive, more productive, less vulnerable, more collaborative. Designed specifically for SMBs with up to 300 employees, Microsoft 365 Business is a complete, intelligent solution, including Office 365, Windows 10, and Enterprise Mobility + Security that empowers everyone to be creative and work together securely. That’s where we come in. Better Online can work with you and for you to make it seamless, painless, and quick. Free migration. Simple setup. And 24/7 support. It’s everything you need, and nothing you don’t. The Microsoft Office suite includes the old familiar software that has become synonymous with productivity: Word, Excel, PowerPoint, Outlook, and more. You probably have at least a few of these programs on your computer right now. Office 365 takes those reliable stalwarts into the 21st century. Instead of being installed on a single, physical device, each application can be installed on up to 5 devices and is available online and from anywhere – from a PC, Mac, Android, iOS, or Windows phone. At work. At home. On the road. New features, patches, and new versions are updated automatically and at no additional cost. Eliminate the need for annual or version licensing fees. Get access to the tools you need to run a successful business, including Word, Excel, PowerPoint, Outlook, Exchange, OneNote, OneDrive, and more. Accessible. Always current. Secure. Mobile. That’s Office 365. Do I need a business email? The longer answer? Yes, because your prospects and customers will expect it, your competitors are already using one, and it instantly increases your credibility. Consider: sales@yourbusiness.com or yourbusiness@gmail.com? Which one seems more credible and professional? In fact, 65% of consumers report a company-branded email is more credible than a free online option. And you can use different prefixes – info@, support@, sales@, help@, an individual employee, and so on – to ensure emails get to the right person or department immediately without having to be sorted and forwarded. This saves you valuable time in responding to the needs, questions, and issues of your customers. What digital tools do I need? 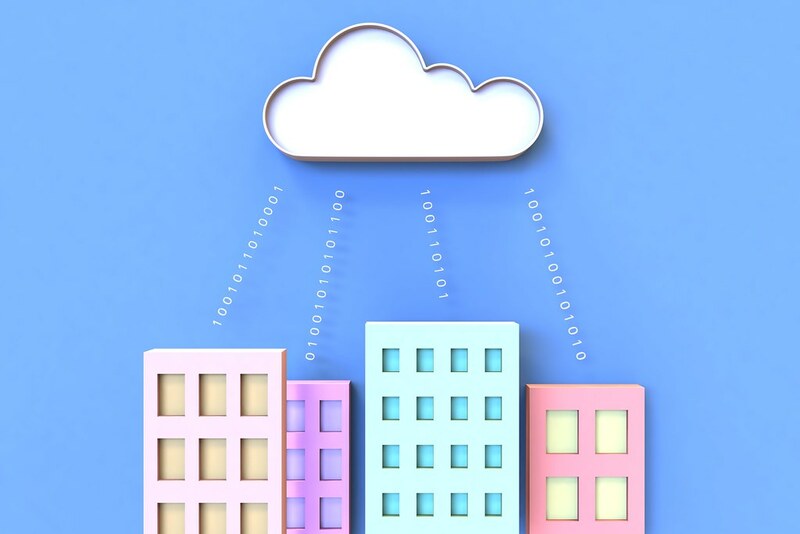 Keep all these factors in mind as you make your move to the cloud. Whether you need to migrate everything from where it is now, or you’re starting from scratch, it’s really just that easy. Updating old systems, modernizing existing workflows, increasing productivity and collaboration, and managing everything from one central dashboard is a great idea. Not one business owner would disagree with that. Finding a way and time to do that is something else entirely. Until now. Better Online can have you up and running in an hour. Just 60 minutes to join the digital revolution and take advantage of all the cloud has to offer. Select either our comprehensive Microsoft 365 Business plan at $25 /month/user, or opt for our office 365 plans. They all come with the same free email migration, support, and assistance. We’ll immediately create your Microsoft Tenant – the apartment complex that will house your cloud tools, users, and groups – so you can start using the service. Think about the domain you’d like to use for your business. Choosing the right one is about much more than just being memorable: it should be short, pronounceable, and obvious. Check to see if it or some variation of it is also available on your preferred social channels (Facebook, Instagram, Twitter). Next, we’ll call and collect a few relevant details from you: preferred domain name (you may want to use multiple), anticipated number of users, and information on your current setup, if applicable. Our free migration service can move your email, calendar, and contacts into our Microsoft 365 or Office 365 platform from virtually any provider, including Google (Gmail), Webmail (e.g. Yahoo), Outlook, Exchange, and many others. Once we have everything we need from you, we’ll initiate the migration and monitor its progress from our end. Using your list of users, we create a server to server connection between your old email platform and Exchange Online, and migrate the data from one to the other. You’re able to continue using your old email during this migration without interruption. We’ll also provision your preferred domain name, configure the domain DNS records (if you get a domain name from us), and configure Microsoft 365 Business to use the domain and validate the setup. You do nothing (except pat yourself on the back for making such a great business decision). After migration is complete, we’ll work with you through the simple procedure of routing your email through your brand new 365 exchange. At an agreed upon time, we’ll complete a final sweep of your old mailbox, and the mail routing is switched over. This migration is offered as a courtesy to our customers, but you can always opt to do it yourself via our intuitive and user-friendly dashboard. Complete control is in your hands. You have access to the applications you need and want. Using the admin portal, select and install those you want, and assign access to those that need it from your admin dashboard. Add users quickly, assign licenses to them, and activate them. You can even send a welcome email to get them onboarded. Each authorized user can install their chosen applications on up to 5 different devices – PC, Mac, or mobile – to truly maximize the anywhere, anytime accessibility that makes the cloud so valuable and powerful. You, your employees, and your colleagues are now using the most up-to-date, secure, and mobile system available with no further effort required. It’s always on, always current, and always ready where and when you are. Your plan includes a full terabyte (that’s 1000 gigabytes, enough for 500,000 standard business documents) of cloud storage on OneDrive. Each user simply installs the OneDrive client, then copies their files and documents to the OneDrive folder to instantly sync between PCs, Macs, and mobile devices. Any new work you do in Word, Excel, PowerPoint, and more can automatically be saved to the cloud by default. Everything is now available anywhere, anytime, for anyone (that you authorise, of course). At this point, you can shut down your old file servers. You and your business now live in the cloud. As an administrator, your Better Online dashboard gives you complete control over the users and data in your organization. Click “Security & Compliance” from the homepage, and you’ll see options for data loss prevention, data governance, threat management, and everything else you need for a secure, compliant cloud existence. Set policies for biometric login, automatically lock devices after X minutes, prohibit any documents from being saved anywhere other than the official OneDrive account, and much more. We’re here to help and support your business 24/7. Our dedicated support portal hosts how-tos and guides on everything from installation to user management, from email configuration to domain management, and everything in between. And if you can’t find the answer you’re looking for, we’re just a quick email or phone call away. At Better Online, we make an already great product – Microsoft 365 Business or Office 365 – exceptional. Free migration, free onboarding and setup, and free support. We’ll walk you through everything with as much or as little assistance as you require. Sometimes – albeit rarely – the time invested and the payoff are massively imbalanced. You usually get what you put in…but one hour is all it takes to truly harness the full potential of the digital universe. Make yourself and your brand modern, cutting-edge, and ready for anything. One hour. Make your business faster and more productive. Make it more competitive, innovative, and collaborative. Protect your data against theft, loss, and damage. Is embracing digital and moving to cloud really that necessary? Absolutely. So how do you go from nothing to everything on the cloud? Better Online. It’s your solution. Interested in Microsoft 365 Business?